HEARD what’s come to Mackay? 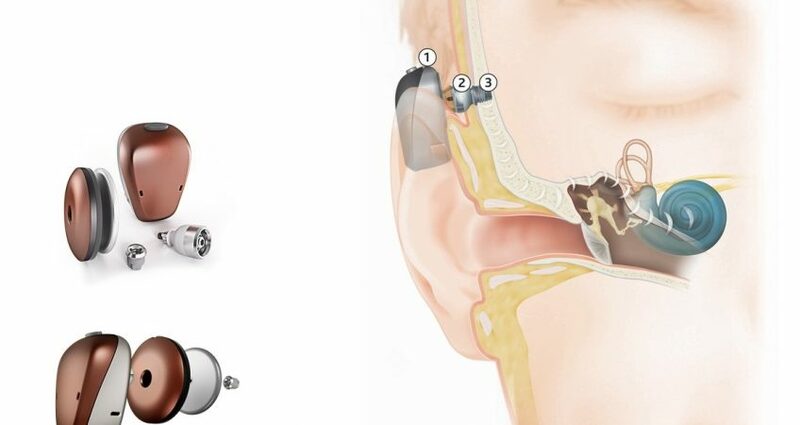 People with untreatable outer or middle ear problems now have access to a local fitting service for advanced hearing aid technology that is fitted to the bone. Previously a trip to Townsville or Brisbane was required to have this device fitted, but the operation is now available locally through Mackay based Ear, Nose and Throat Specialist Dr Luke Reid. “I am delighted to be able to offer this surgery in Mackay, saving local recipients time and money by avoiding the need to travel,” Dr Reid said. Mackay Hearing principal audiologist and director Jodie Miles is also thrilled that this “remarkable technology is now easier for people in our region to access”. “After being fitted through surgery, these devices must be programmed by an audiologist. The success rate and outcomes achieved from this device are compelling,” Ms Miles said. The new service may already have a potential candidate, Josephine Murphy, who was born with no outer ear or ear canal on the right side, and has a profound hearing loss on the left. Josephine has used powerful hearing aids for a number of years, however her hearing has continued to decline. “If my hearing continues to decline, conventional hearing aids will no longer be strong enough to help me hear effectively, and I’ve been told I may be a candidate for a bone anchored hearing aid,” Ms Murphy said.